There are approximately 18,000 people living in Washington State communities who are supervised by the Department of Corrections (DOC). The people supervising inmates in the community are Community Corrections Officers (CCO). Provide guidance, support and program opportunities for all inmates returning to the community. Ensure inmates are accountable to the conditions of their release from incarceration as they transition back into the community. Collaborate with community stakeholders who have a vested interest in the successful reentry of inmates. As a CCO, you’ll face great challenges and be met with even greater reward knowing you are making significant contributions to the safety of our communities. You’ll work directly with a caseload of recently released inmates, along with their families and other community resources, to facilitate successful reintegration into the general public. Typically, you’ll start at the CCO1 level where you’ll receive training in Foundational Correctional Practices, Case Management, Firearms Qualifications, Cognitive Behavioral Interventions, and more. You’ll also be paired with a Lead CCO who will provide on-the-job training and act as a mentor as you develop skills and techniques both in the field and in the office. After approximately 1 year, and upon successful completion of your training requirements, you’ll advance to the CCO2 level, where you’ll have greater autonomy and flexibility in managing your caseload. Working as a CCO provides opportunities to experience a broad spectrum of the criminal justice and law enforcement worlds. 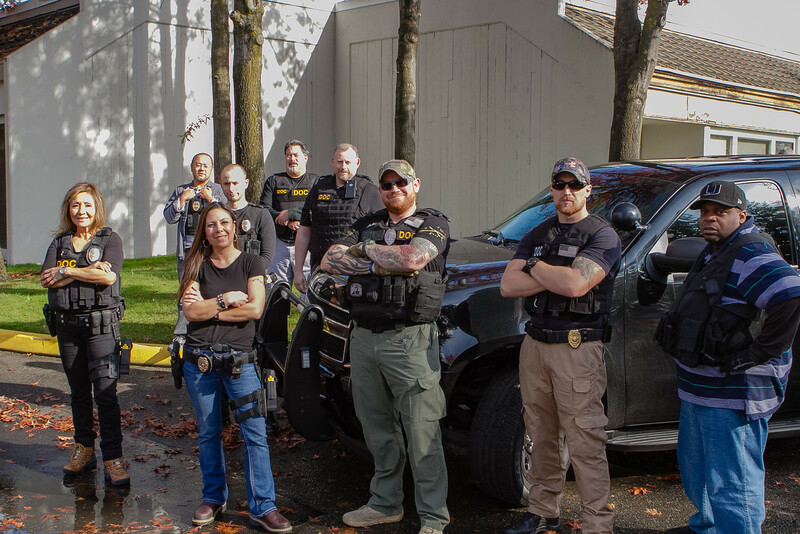 You’ll conduct field visits, apprehend suspects with felony warrants, and partner with other law enforcement agencies to conduct various operations. You’ll also work with individuals on your caseload to learn their baseline behaviors and intrinsic motivators which will allow you to proactively intervene when those individuals may be deviating from the conditions of their release. You’ll help them make decisions regarding employment, education, treatment, housing, financial obligations, and more as you guide them on the path to successful reentry into the community. *A Master's degree in sociology, social work, psychology, criminology, or closely related field will substitute for the required professional case management experience.